Generally Christmas comes but once a year. Normally around the 17th October if you believe the supermarkets. And with that there’s always the feeling that when the day comes your a bit tired of it and a bit over it. And it doesn’t help that the traditional Christmas trappings force us into a sense of Groundhog Day; how many times is it going to have to hear Noddy Holder yell “it’s chrisssssstttmassssss!! !” on some panel show? So with that in mind I was under the impression that Christmas had offered all its surprises and it was a strange loop of “meh” we were going to be stuck in basically forever. 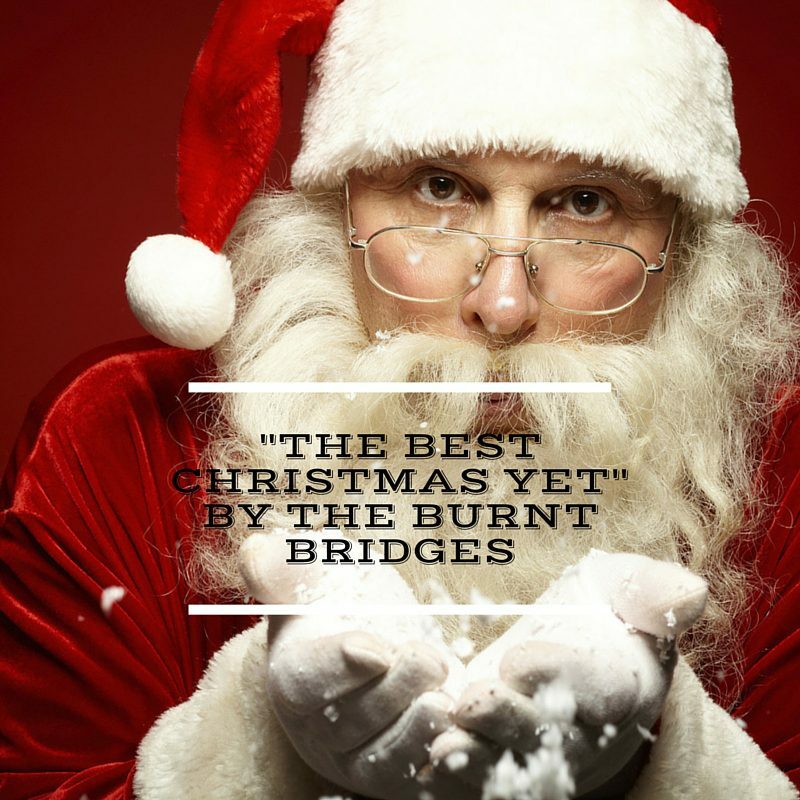 So imagine my absolute joy and pleasure when I was asked to listen and talk about the Burnt Bridges and their Christmas single The Best Christmas Yet. They’re a band from Glasgow and they’ve already had a sizeable year performing all over the country. And they’re releasing a Christmas single with some help from their friends at starlight youth theatre from Paisley! And I have to be honest. I’m normally a grinch at Christmas. I hate it and want it to be over with, even before its here. But this year the Grinches’ heart has grown two sizes. The Best Christmas Yet has changed me from bad Scrooge who lets Tiny Tim snuff it to Good Scrooge who yells happily at kids and trusts them with his shopping money. The song itself sounds like the best Christmas songs in the tradition of Chris Rea and the Darkness, and it has a few Christmas traditions in it: there’s talk about snow and glasses being filled. There’s tingly bells, and a choir and clapping and it all adds perfectly to get you into the Christmas spirit. Even the cover art has snow and wrapped and a tag addressing it to us directly from the band. 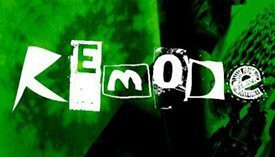 It also has the feel of being genuinely thoughtfully written; the feeling of this song is something that’s had a lot of thought put into the lyrics. Singer Mark talks as through his journey of not believing in the season due to him being naughty. But as the snow falls and Santa starts his journey Mark is won over to the spirit of the season and is determined to make it the best Christmas yet. I genuinely love this song; the happiness it makes you feel at hearing something new yet so traditional is brilliant. It’s a relief to have another song that you can add to the playlist, one that you know family and friends will love and make them ask who it is. You can then joyfully direct them to the Burnt Bridges because this single aside they are a brilliant band and deserve big things. I have to admit since I heard The Best Christmas Yet I’ve been listening to it at least five times a day. The single is out now on iTunes Amazon MP3 and is streaming on Apple Music and Spotify. If you need something to get you in the mood for Christmas I promise you this song will do it.